How do you hold title? If you're thinking about buying or selling a house, contact me and I'd be happy to help you out! Reverse Mortgages are a financial creature unto themselves. And these days, it is becoming more common for the heirs of an estate to find themselves in the middle of a HECM conundrum. HECM stands for Home Equity Conversion Mortgage, also known as a Reverse Mortgage. This is a mortgage program which enables the elderly (62+) to withdraw some of their equity in their home without having to make any payments. The loan becomes due at the death of the last borrower, or when the borrower vacates the property for a nursing home or to live with family members or other care takers. What is often not known, is that the heirs have 6 months to pay back the balance to the lender, or the house will go into foreclosure. This 6 month time limit starts ticking immediately upon death. In the situation of the borrower vacating the property and relocating elsewhere, the time usually starts upon notification of acknowledgement of vacated property. Unfortunately heirs are often grief stricken and postpone addressing estate issues until a later date, completely unaware that the lender's clock has already started ticking! In order to save the property or it's equity, they need to act ASAP! 1) Determine your intentions. Do you want to keep the property? Do you want to sell the property? Do you want to let the property go back to the bank via a Deed In Lieu? 2) If your decision is to keep the property or let it go back to the bank, you will need to contact the lender and notify them of your intentions. If your decision is to sell the home in order to cash out it's equity, you'll need to contact a Real Estate Agent who is knowledgeable of HECM loans so they can begin to assist you with the process. 3) You will need to notify the lender in writing that you (as the Estate holder), grant said Real Estate Agent permission to access loan information. 4) Within 30 days the lender will have an appraisal done. If the mortgage balance exceeds the appraised value of the home, the heirs have the option of satisfying the reverse mortgage by paying 95% of the home’s current appraised value. If the appraised value exceeds the balance owed, and would leave the heir with equity to obtain, the lender's balance would be paid, (along with any fees and sales expenses) via the sale of the home. The heir (or the estate) would then receive the equity remaining, at closing. No doubt, there are numerous amounts of questions that I'm asked from my clients, friends & family, about real estate, on the daily. However, there are certain questions that continue to come up more frequently than others. 1) I saw a house that I liked, but it wasn't listed by your company. Can you still show me the house? Answer: Yes. I can show you other company's listings. 2) I want to buy a house soon. Where do I start? Answer: Always, always, always, start with getting a pre-approval from a bank/mortgage company. 3) I don't have a ton of money saved up. Can I still buy a house with a modest savings? Answer: Yes. There are programs like NIFA-Home Buyer's Assistance that can often help! 4) How soon after I find a house can I move into it? Answer: From contract to closing, it's generally 45 days. However, there are exceptions (+/-). 5) How much do I have to pay you to be my agent? 1) How do I know how much my house is worth and how much I should list it for? Answer: Ask me for a free market analysis. 2) How long will it take to sell my home? Answer: 1 Day - 100+ days. Depends on listing price, market condition, and several other factors. 3) What should I start doing now, to prepare to put my home on the market soon? Answer: I've written a "To Do" list on the sellers section of my website. Check it out! Click Here. 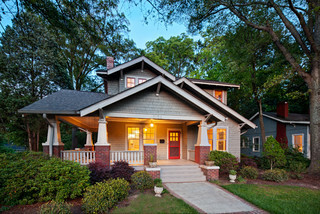 4) Should I be present during showings at my home? Answer: No. Your presence will make them uncomfortable and make them leave sooner. 5) What does your commission fee cover? Answer: I charge a percentage of the sales price, and then out of this, I pay myself, my broker, the buyer's agent and the buyer's agent's broker. This fee includes professional photos, marketing, as well as staging guidance. Your home will also be posted on the MLS as well as on larger sites like Zillow, Trulia, Redfin, Yahoo, etc.! I will also purchase social media promotions, at no expense to you, in addition to other marketing tactics. I will also provide an electronic lockbox that I will attach to your door for authorized agents to be able to access your home upon your approval. This allows me to keep track of who enters the house and when. I will also contact those agents and ask for feedback. I will also contact fellow agents prior to the live listing to alert them of the upcoming listing. I will also maintain contact with other agents to keep your house at the top of their mind for their buyers. These, along with other marketing tactics will be provided as a part of my services. Q: Is an Earnest Deposit required? Q: When I buy a house, do I have to pay an earnest deposit in addition to the down payment that the bank requires? If so, how much is it? And if something happens and I can’t buy the house, do the sellers get to keep that money? A: You are NOT required to pay an earnest deposit. However, most sellers won’t even consider your offer as a serious one without it. The earnest deposit is not a set amount and is definitely negotiable. Generally, 1% of the purchase price would be considered a fair deposit. However, if the Seller thinks the deposit you offered isn’t enough, it is not uncommon for them to request an amount that they feel comfortable with, via a counter-offer. Your earnest deposit is NOT in addition to the down payment that your bank requires of you (with the exception of zero down programs like VA). For example, let’s say you’re getting an FHA loan and your lender requires that you put 3.5% down. If you’re buying a house for $100,000, you’ll be required to put $3,500 down. If you give the seller a $1,000 earnest deposit, you would then only have to bring $2,500 into closing. As for the return of the money should the closing not occur, it depends on if it is due to the fault of the seller or buyer, as well as what is stated in the contract. This is why it is best to have a professional Real Estate Agent or an Attorney review the contract, prior to making the offer, to make sure that specific scenarios are addressed. Otherwise, if there is a dispute, the title company will not release the funds to either party without written consent from both buyer and seller, or a court order or arbitration ruling. There are several other points and issues regarding earnest deposits, so if you have additional questions or if you would like more information, please contact me. Q: I’m thinking about selling my house within the next couple of years. What updates can I do now, that will get me the best return when I sell it? A: The #1 update that will usually get you the best return is the Kitchen. This would include things like matching stainless steel appliances & updated counter tops and flooring. Replacing cabinets can be costly, so sometimes just re-staining them or painting them and adding new hardware will do the trick. I’d suggest you splurge a little on the faucet and lighting though. #2 is probably a toss up between curb appeal & the bathroom. First impressions are huge and if the outside looks inviting, it will definitely get you more buyers wanting to schedule tours. However, the bathroom MUST look VERY clean. So sometimes a new tub surround is needed. Updated lighting fixtures and faucets are important in here too. And #3 is smart-home options, or anything that can make your home more energy efficient. Smart-home options are things like, being able to adjust your thermostat with your smart phone… or unlock your front door via Bluetooth. Energy efficient items would be things like dual flush toilets for water conservation or tankless water heaters. Feel free to contact me with any further questions! Q: How many houses should I look at before I make my decision on which one to buy? A: It’s so funny how many of my buyers have asked me this question. You guys! There’s no magic number! But sometimes … there IS a magical feeling. In my opinion, the best decisions are made with your gut, or “intuition”. However, this should only be trusted AFTER the logical issues, (like can you afford the house), have already been addressed. This is another reason to get a pre-approval first, so your loan officer can help you get the logical questions out of the way. THEN you let your FEELINGS guide you. I NEVER , EVER, EVER, want my buyers to “settle”. I want them to be EXCITED to come home! I’ve had buyers who bought the first house I showed them, and buyers who had to look at 20+ houses before they found “THE ONE”. And unfortunately, I’ve also had a couple of buyers who got “the feeling” and didn’t act on it in time and lost the house to another buyer. Those were horrible experiences. I hated seeing my clients having so much regret. It’s so crazy how a house can make us feel emotions… but I’m glad they do, because it’s the best indicator that it’s “THE ONE” for you. Q: How do I know how much of a house I can afford to buy? A: The best way is to talk to a mortgage loan officer, as lenders have specific ratios that you will need to meet in order to qualify. But if you’re not serious about buying a home yet and are just curious, there are a couple of quick ways to figure that out. Keep in mind, these are just ball-park estimates to give you an idea. One way, is to take your gross annual income amount and multiply it by 2.5. (So if you make $60k a year, you could probably look at houses in the $150k range). To figure out what kind of monthly payment you can afford, (again, this is just an estimate), you can use the 30% rule. So using the same income scenario above, if you make $60k, you could probably afford a mortgage payment of $1,500/mo. And one more time, these are just quick tricks to give you a ball park estimate. To figure out exactly how much you can afford, you’ll need to consult with a mortgage loan expert. If you don’t know one, I can refer one to you!